An Avengers vs. X-Men Review – Cyclops Did WHAT???? PENCILLERS: John Romita Jr., Olivier Coipel, Adam Kubert. So you’re going to put these two teams against one another, and not have mind control be a factor (at least not initially). The first thing you need to be worried about is making sure neither team looks like the bad guys. Avengers vs. X-Men accomplishes this by having both teams fight for control of the situation, rather than work together to solve it. Captain America shows up on Utopia, and essentially tells Cyclops they’re taking Hope into protective custody. Feeling threatened, and with the mindset that the Phoenix could help reignite the mutant race, Cyclops lashes out. Thus, the fight begins. 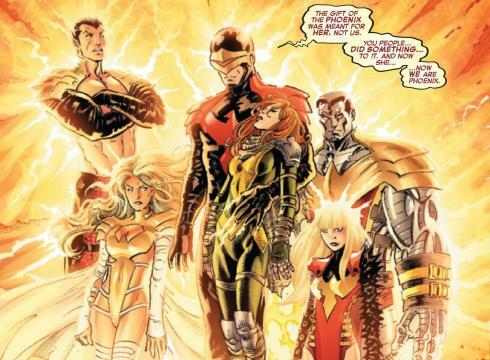 Just before the halfway point, Marvel does play the mind control card by having the Phoenix possess Cyclops, Emma Frost, Namor the Submariner, Colossus and Magik. The “Phoenix Five” then begin to remake the world as they see fit, telling world leaders that the time for peace has come…whether they like it or not. This turn of events is about Cyclops more than the other four. Avengers vs. X-Men marks the culmination of the slow fall from grace we’ve seen him go through in recent years, the apex of it all being what happens with Charles Xavier. Readers are always looking for long term consequences from their event comics. 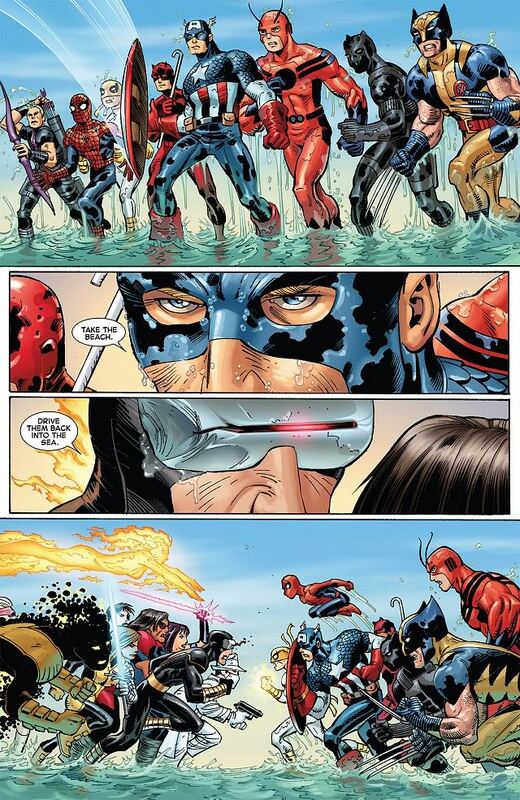 In terms of AvX, they need look no further than Cyclops, who truly becomes a tragic figure in this book. Like so many other characters in mythology and popular culture, he was only trying to do the right thing. But he went to such terrible lengths to do so that he literally became the kind of force he originally set out to stop. In the end, not only did he murder his surrogate father, but he lost everything. He lost the family, his friends, his camaraderie with his peers, even his freedom. while these five characters are being influenced by the Phoenix, their choices are still their own. All of this was his doing. He did it. Him. And now he has to live with that for the rest of his life. Pretty heavy stuff, huh? In terms of long term effects, the added depth and dimension this story brought to the Cyclops character will likely be its enduring legacy outside of being an event comic where a bunch of heroes fought each other. And let’s be honest, Charles Xavier will be back eventually. In terms of structure, things grew a little stagnant during the second half of the story, as we knew we were simply waiting for the Avengers to take the Phoenix Five down one by one. 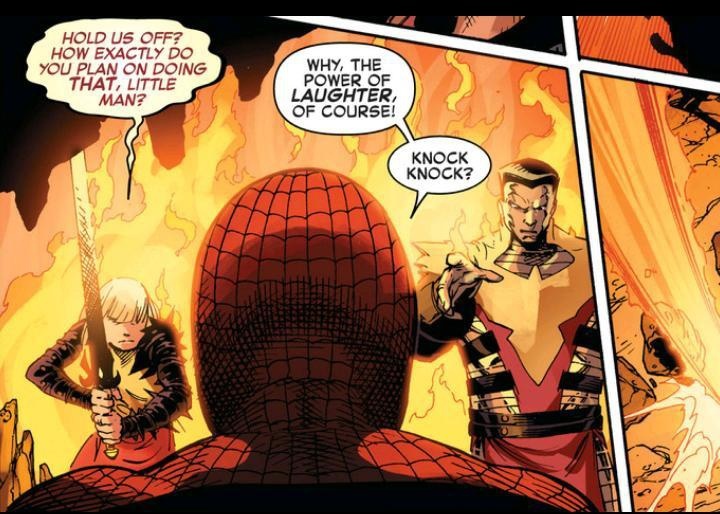 They give Spider-Man the spotlight for an issue, as we see him persevere while Colossus and Magik beat him within an inch of his life. That provides a nice character moment for him to break up a bit of the staleness. But it’s an unavoidable valley in the story. The writers do what they can with it, and very capably I might add. But it is what it is. John Romita Jr. does some fine work here, despite some awkward depictions of Cyclops early in the story. Olivier Coipel and Adam Kubert are also very strong. One person I took special note of in issue #11 was Laura Martin, whose reds, oranges and yellows made for a great sunset metaphor during the Cyclops/Xavier confrontation. 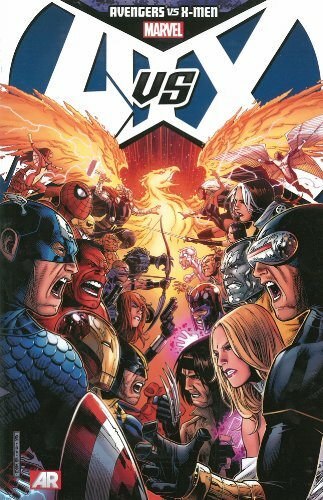 Avengers vs. X-Men was an easy pitch for readers new and old, it had some of the best talent in the industry attached to it, and it did some great fan service. Could we have asked more from it? I suppose there’s always someplace you can ask for more. But I can honestly say that the main story was worth the money I spent on it. And at the end of the day, can we really ask for much more than that? Image 1 from heroes4hire.com. Image 2 from gamespot.com. Image 3 from ign.com. This entry was posted in Comic Books/Graphic Novels and tagged Adam Kubert, Avengers vs. X-Men, Brian Michael Bendis, Captain America, Charles Xavier, Charles Xavier death, Colossus, comic book reviews, comic books, Cyclops, Ed Brubaker, Emma Frost, graphic novel reviews, Hope Summers, Jason Aaron, John Romita Jr., Jonathan Hickman, Magik, Marvel, Marvel Comics, Matt Fraction, Namoi the Submariner, Olivier Coipel, Phoenix (Marvel), Spider-Man, superhero comics, superheroes, The Avengers, Wolverine, X-Men on 10/30/2012 by primaryignition.